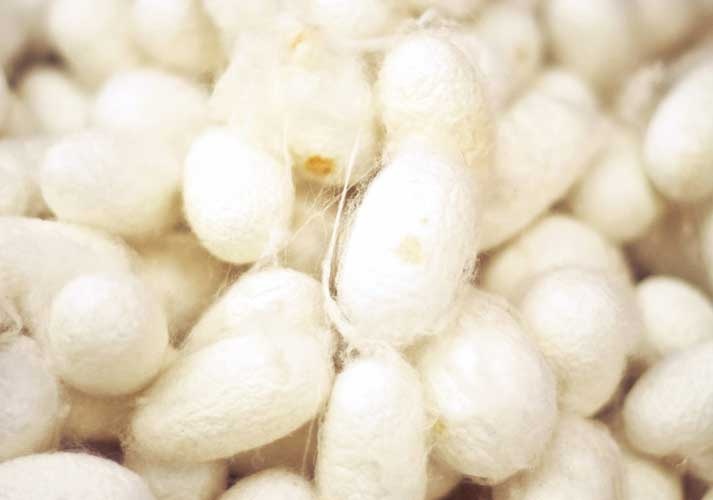 Have you even seen how silk is made? I witnessed in amazement how gossamer threads unraveled from the cocoon of the silk worm and were spun into the finest raw silk yarn, and bundles of silk threads were hand painted and dyed….taking me all the way back to times when the Silk Road brought merchants, pilgrims and envoys together, where a succession of empires lost and won by nomadic invaders have left behind a unique melting pot of cultures. People were attracted here, not only by trade but also by exchanges in religion, technology and the arts. Today’s Uzbekistan was at the heart of the Silk Road, where mountains and steppe meet desert. The arts and crafts of Uzbekistan have enjoyed a well-earned fame for centuries. Uzbeks have developed their technical and artistic traditions over centuries. The applied art reflects everyday life; its main attribute is the close connection between artistic creativity and daily material necessity. Fabric design in Uzbekistan is an exceptional example of folk art that has been developing for centuries. It embodies the creative work of the most talented masters and artists. The Soviet regime brought about an abrupt end to such customs, when weaving became co-operative, production became standardized and designs were simplified and sold under trade names like Sputnik or Kremlin. However, with the fall of the Soviet Union and the arrival of independence, weaving and embroidery in this region have seen significant growth over the last 20 years, helped in part by a British Council-funded project in the late 90s and by the master craftsmen who had kept their ancestral skills alive by working secretly during the Soviet years. Meet Mirshod Karimov, a fabric designer, a professional silk weaver and the owner of an artisanal fabric studio in Bukhara, Uzbekistan. 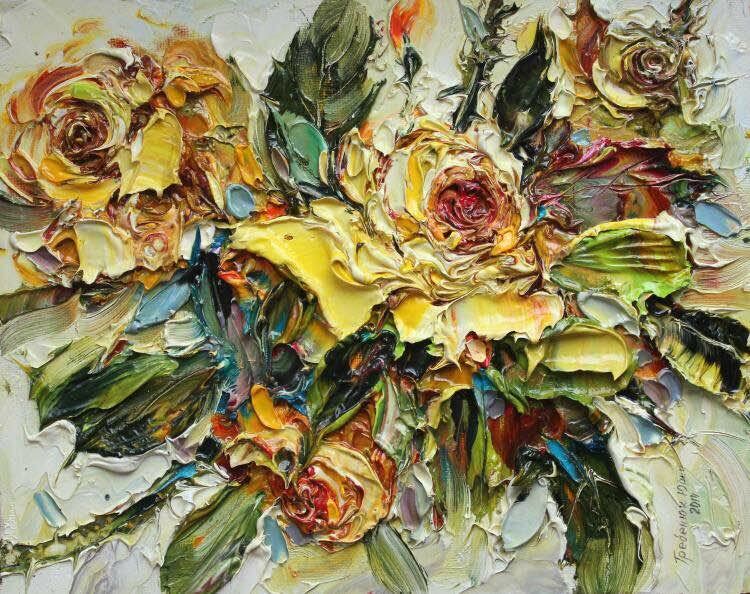 His works have been on display in various international exhibits, including the United States (Las Vegas, Pennsylvania), China, Latvia, Russia and Kazakhstan. G.A. : Mirshod, it’s so nice to meet you! 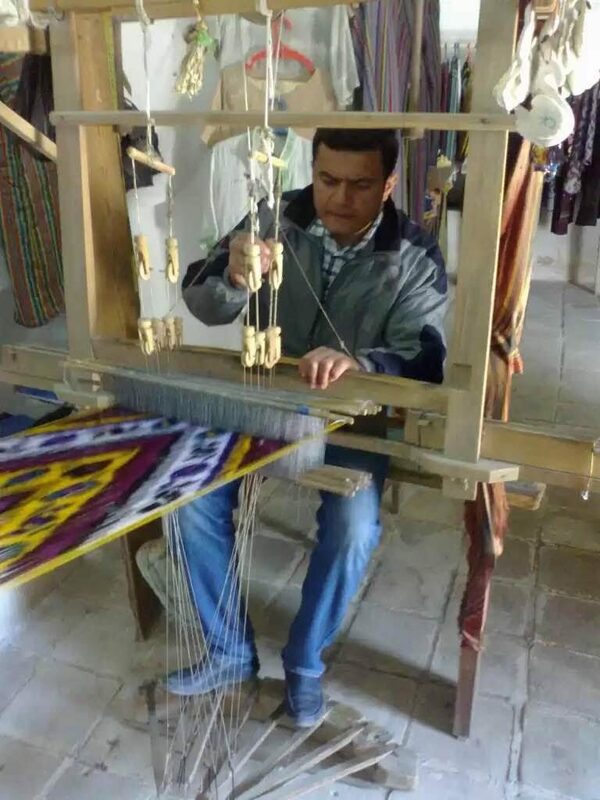 You were born into this tradition, the heritage of many generations known as decorative weaving craft. Tell us a little more about your heritage. M.K. : Nice to meet you, Gunel. Centuries-old traditions of hand-woven silk and cotton fabrics have been an essential part of national clothes, culture and interior. I am proud to be born into a family of fabric manufacturers- I learned this craft from my father, and he learned it form his father. It’s a form of art that is attributed to historical conditions shaping the cultural development of the Uzbek people. It is the heritage of many generations representing a series of consecutive layers, which reflect a people’s culture through the ages. 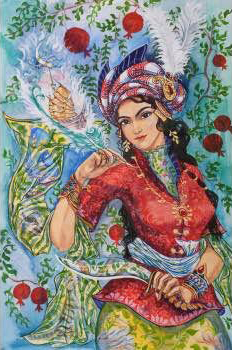 Uzbek nation consist of various ethnic groups creating this diversity of artistic traditions that is the distinguishing feature in works of art of all genres. Where past and present are wonderfully combined – the traditions of ancient folk art woven together with the knowledge and understanding of modern times. G.A. : It feels like I am reading a fascinating book on history of fabrics, trade and culture! Your ancestors were inhabitants of what’s is now known as the Silk Road – UNESCO’s designated World Heritage Site, a historical network of trade routes, which linked the regions of the ancient worlds. M.K. : Great Silk Road from Japan to Europe, which passed by Uzbekistan, played its important role for development cotton and silk traditions in my country. The manufacture of printed fabrics was widespread among the nations living in what is now Uzbekistan. Printed tablecloths, curtains, blankets, shawls, high-quality fabrics for women’s dresses, different coverlets including horsecloths, even funeral shrouds, and other printed articles had both practical functions and served as household decoration. Bukhara and adjacent settlements were famed for this art. Every woman has several atlas dresses no matter how Westernized she is. It always signifies the ‘Uzbekness’ of the wearer, and her part in Uzbek culture. When worn by a prospective bride it highlights to the groom’s family that this woman will play her part in the family and continue traditions. G.A. : You have been a proud owner of a textile design studio for years and made various appearances in local media. What types of fabrics do you manufacture? M.K. 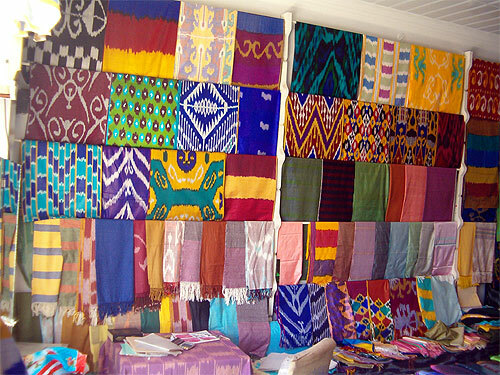 : We manufacture ikats along with other types of silk and cotton fabrics and leather. We crate the most unique patters and designs, and use only natural dyes from plants like madder root, cochineal, coffee, carrots and indigo. We add honey and salt to plant derived dyes to make them last longer. We are very particular about using natural products in our craft. After all we cherish and carry this tradition through generations. We also create modern designs on leather, canvas or any other fabric. G.A. : So you also produce modern designs combining a contemporary vision with traditional techniques and natural dyes. What inspires you? M.K. : I am only limited by my imagination! As a fabric designer and workshop owner am in constant search for new forms and patterns. We take custom orders depending on what the client has in mind. Right now my goal to is introduce my creations to the world and expand my network. It all begins with the tiny but voracious silk worms….. When asked to choose my favorite textile, I have difficulty responding. In Uzbekistan, ikats and other bold fabrics are still worn as they have been for hundreds of years. And while the country continues to change as it finds its place in the modern era, artists like Mirshod will serve as a bridge that brings the bold and bright oriental tradition to, sometimes unprepared, Western eyes.